The idea of playing college sports can be intimidating and complicated. For local tennis players, it got a bit simpler on Saturday. 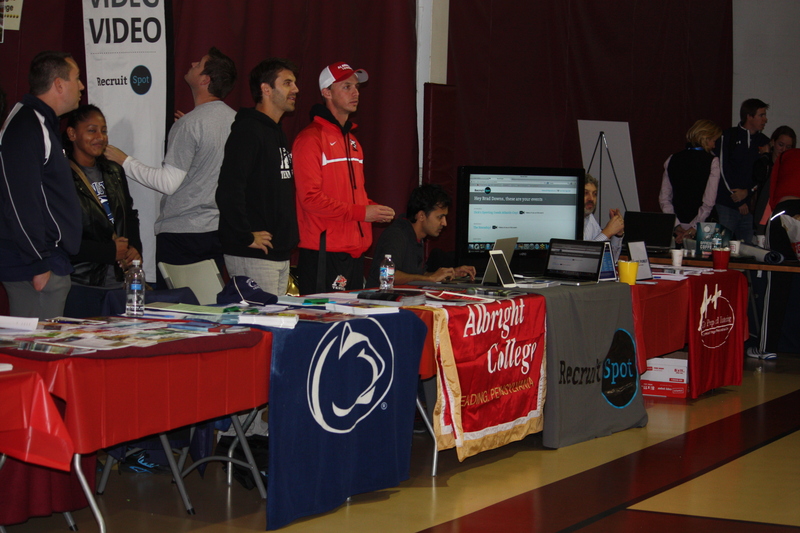 Nearly 100 players interested in collegiate tennis had a chance to talk to coaches and showcase their talent over the weekend, as Middle States hosted its annual College Day program at Legacy Youth Tennis and Education in Philadelphia. The event included speeches from a number of college coaches, a Q&A, and a chance for players and parents to speak to representatives from 50-plus schools. High school juniors and seniors also took part in a hitting session and showcase, which displayed their talents to the coaches on hand. It was a great chance interested players to learn about the college experience, and was equally valuable for the coaches. The day started with a speech from Leicht, who talked about NCAA Division III tennis and the outlook of coaches and players at the school. It then moved onto Bloomsburg coach Marty Coyne, who spoke about Division I and Division II programs, starting the college search, and the NCAA Clearinghouse. Tina Gregor then spoke about the college admission and financial aid process before the Q&A, info-session, and on-court showcase for juniors and seniors began. Representatives from schools all over the east coast were on hand, and included mostly Division III programs. Players traveled from as far away as Pittsburgh to learn more about playing opportunities at the next level. For more info on all levels of college tennis, including NCAA, club, and more, click here.